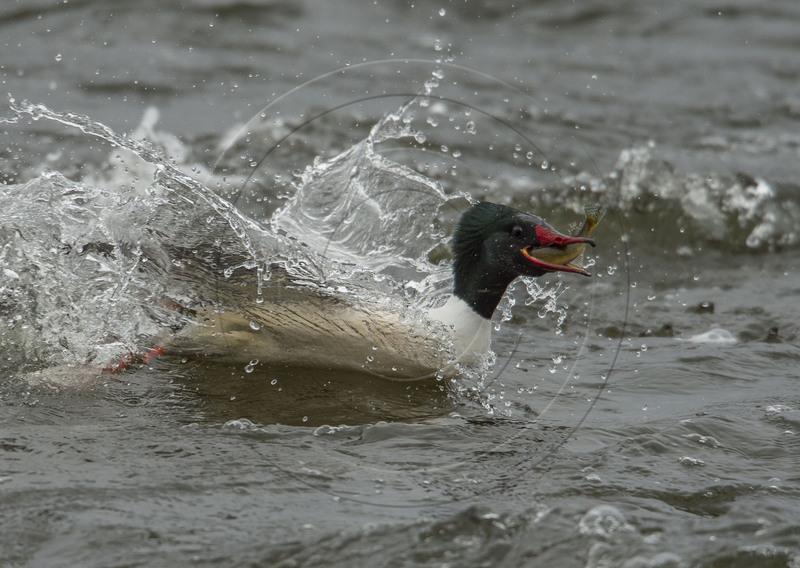 Had fun recently shooting some male common mergansers in an early evening feeding frenzy. 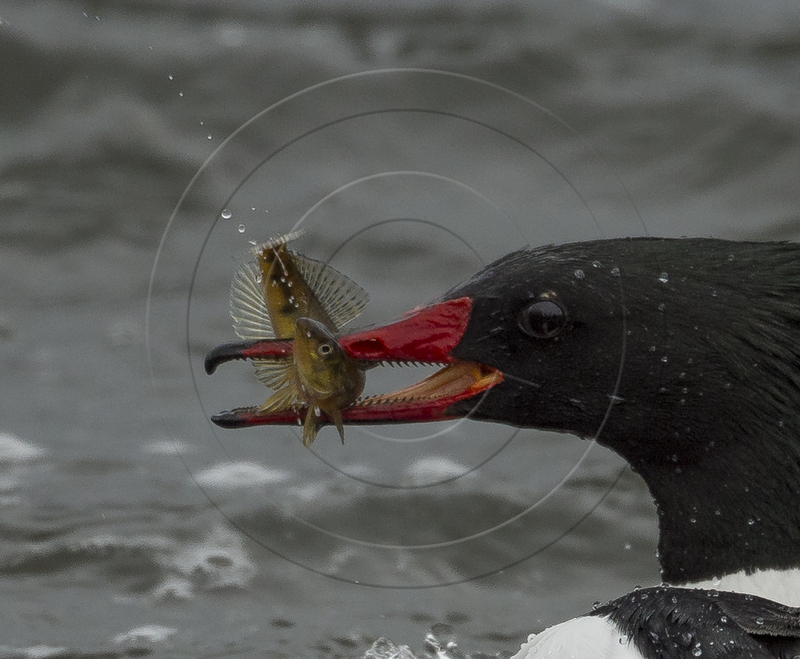 Normally a difficult bird to get close too, their passion for fishing provided some opportunities for some relatively close encounters. Action can often get hot and heavy! 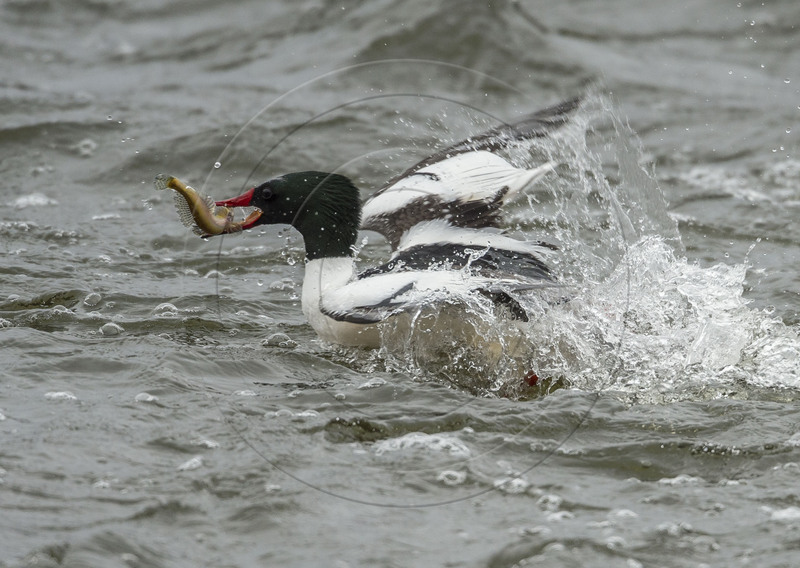 COMMON MERGANSER SURFACES WITH CATCH!! Look at those razor-sharp reverse serrations in the bill!!! Not designed for “catch and release”! !